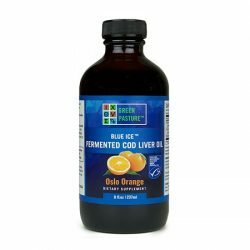 fclThis fermented cod liver oil is a natural source of vitamin A and D. Plus EPA, DHA and omega 3, 6, 7 and 9 essential fatty acids. SKU: 303ec30eeb38 Categories: Antioxidants, Fats, Oils & Butters, Fermented Cod Liver Oil, Vitamins & Minerals, Weston A. Price Tags: fclo, fclo1 Brands: Green Pasture. Fermented cod liver oil will contain the 3 most important omega-3 fatty acids: EPA, DHA and ALA. 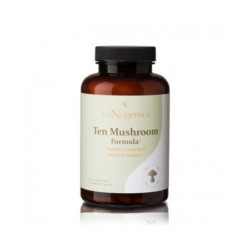 These are essential to the body, and ensure healthy brain function/development, joints, immune system and cardiovascular system. The omega-3 fatty acids in this product are much more bioavailable than other cod liver oil supplements, so your body will be able to absorb and utilize much more of what you consume. All cod liver oil supplements will contain these vitamins, but often they are synthetic ones, which have been added in after extraction. 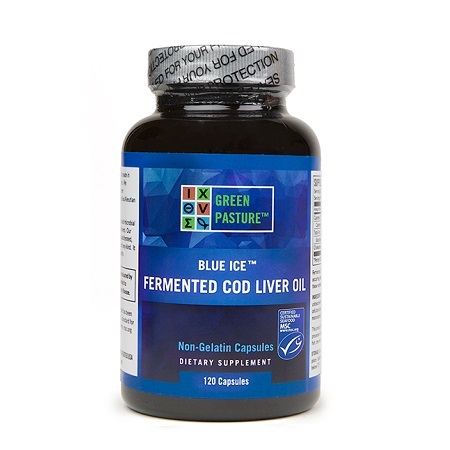 Fermented cod liver oil contains naturally occurring vitamin A & D (which are essential for the immune system and bone health) which makes them much more easily absorbed. Ingredients: Fermented Cod Liver Oil, unbleached beeswax (as thickener), plant cellulose (capsules). Allergy Information: contains pacific cod (gadus macrocephalus).